Example Commercial Spots Brevard Adult Education – Listen to how Brevard took the key messages for the campaign and created a local campaign. We hope this toolkit helps you share your success and advocate for your programs and students. And feel free to share your successes–the stories that are written by and about you–with us–send them to info@EducateandElevate.org. 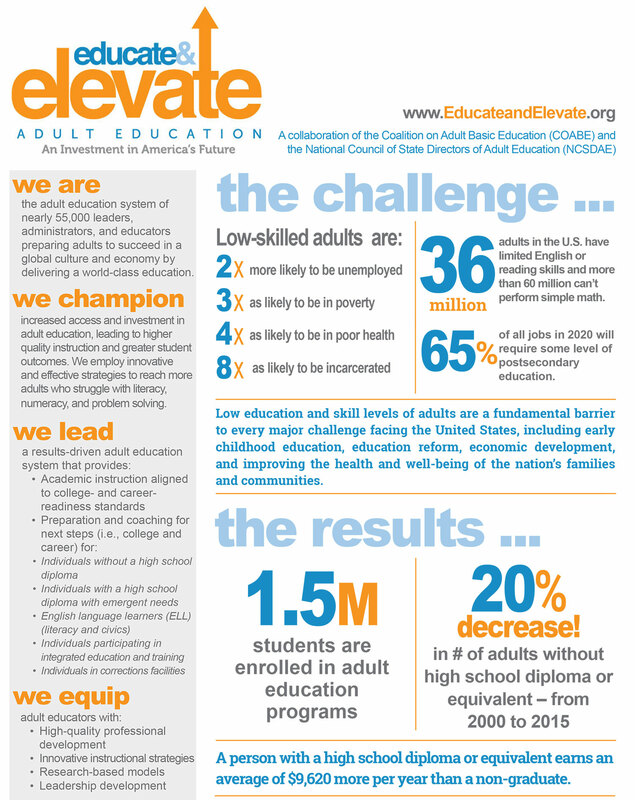 Any adult educator and adult education organization may participate in the campaign. 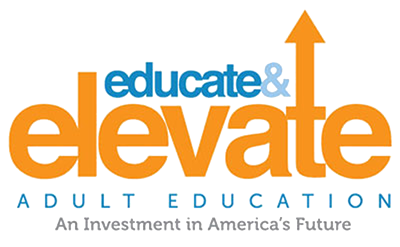 Your organization will be highlighted on the national website, and you’ll receive marketing materials with educational webinars on how to execute successfully to get national recognition and build a business case of support for adult education. Collective storytelling and outcomes data make an impact to policy makers in helping them understand the value we bring to their priority agendas.